New Year’s Eve is a landmark holiday occasion, but it can sometimes feel like a mad dash to the finish line, juggling the day-to-day demands of family life with party planning 101. Whether you’ll be hosting a cocktail party for friends, or giving your little ones their first taste of ringing in the New Year, the Real Canadian Superstore is here to help! Introducing … the Real Canadian Superstore Click &Collect “Family Fun Box”. 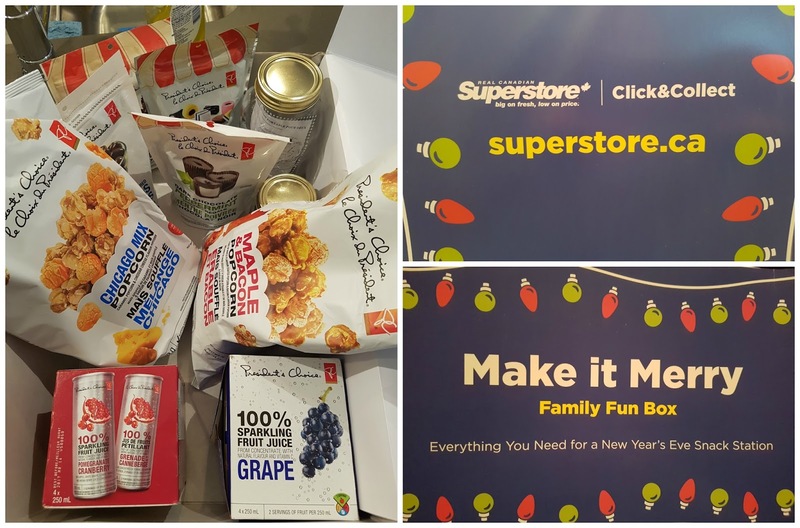 A sweet and savoury snack station in-a-box, designed just for New Year’s Eve and offered at Real Canadian Superstore locations in Calgary from December 27th-31st. #MakeItMerryNYE with a Family Fun Box from the Real Canadian Superstore. Simply Click & Collect!